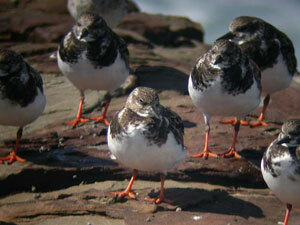 There are over 140 birds seen on Long Reef and 40 of these are listed as NSW threatened or protected species. 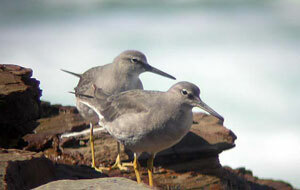 Long Reef forms an important link with Dee Why Lagoon Wildlife Refuge and the NSW coastline. Birds listed include Lewin’s Rail, Little Grassbird, Little Penguin, Osprey, Sooty Oystercatcher and many migratory wader birds. Above is Ricki with a Penguin. Little Penguins are seen regularly feeding and swimming off Long Reef. 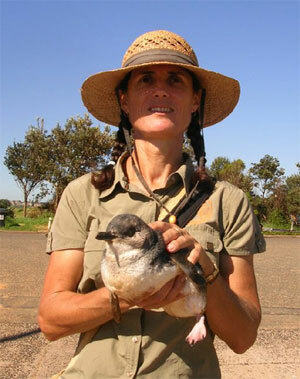 Up until the 1940’s Little Penguins nested on Long Reef Beach. 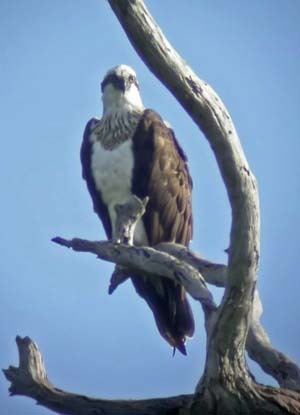 Osprey (bottom left) are regularly seen feeding off Long Reef Point. Reefcare propose building a roosting tower beside their feeding grounds. Please do not disturb migratory wader birds roosting or feeding out on the reef during pre-migration (February to April). These birds are preparing for their long flight back to the northern hemisphere and Siberia. 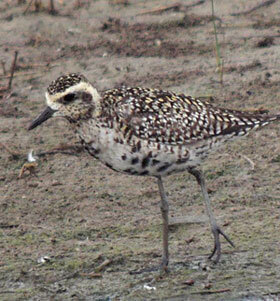 During our winter wading birds such as the Double – banded Plover fly in from New Zealand to feed on the reef. 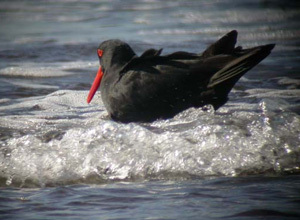 Less than 200 Sooty Oystercatchers (right) are seen in NSW – up to 15 are regularly seen on Long Reef. The Nature Reserve named by Reefcare, contains Themeda grasslands, the habitat for grassland birds. It now has a preliminary listing as an endangered ecological community under NSW Threatened Species Conservation Act. 1995. 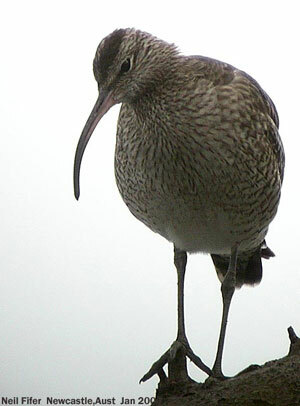 It also has shorebird habitats listed as Wildlife Protected Areas under the Companion Animals Act. Inter-tidal seashore animals were once collected for food or bait but in 1980 Long Reef was declared a Marine Protected Area where the taking, collecting, disturbing or destroying any marine life other than fin-fish is now prohibited. The Pacific Golden Plover (left), Ruddy Turnstone (below left), Grey-Tailed Tatler (below right) and Whimbrel (bottom left) are some more of the many birds seen on Long Reef. On the coastal headland the introduced South African weed Bitou Bush was rapidly displacing native grassland species. From 1999 to 2003 Reefcare volunteers successfully restored over 1 ha. of the headland by removing Bitou Bush by hand. 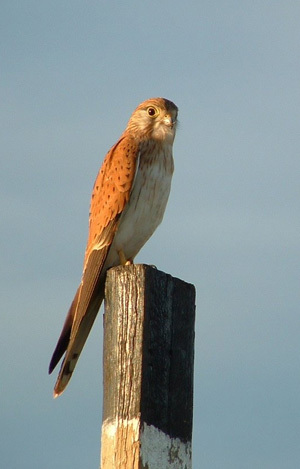 This resulted in the return of wildlife such as lizards, frogs, snakes and especially grassland birds, including birds of prey such as the Kestrel (below right). Council in conjunction with Long Reef Golf Club are committed to an ongoing Pest Animal Management Program targeting Foxes and Rabbits. 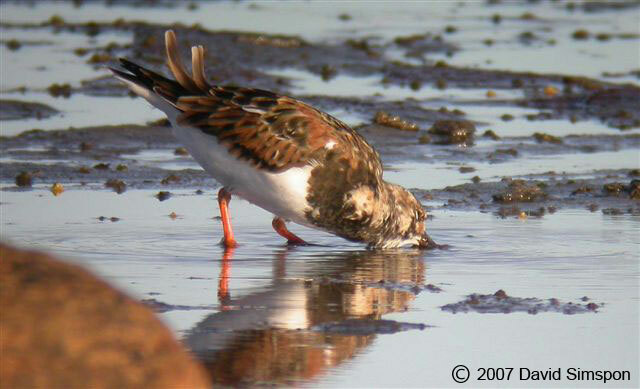 As some of you will recall, Phil Colman and myself are examining some rather odd facets of the foraging behaviour of Ruddy Turnstones (see image at right of turnstone flipping limpet – courtesy David Simpson). 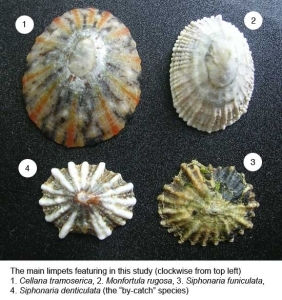 We have found that these birds are taking a number of limpet species for prey but are disregarding one: Siphonaria denticulata. This particular species appears to be the most abundant on the reef but it is also flipped over in great numbers and then disregarded. This is creating an enormous “by-catch” situation with possibly thousands of these limpets getting flipped over by the turnstones every day and then left to die, exposed to the sun. Sooty Oystercatchers also appear to follow this pattern but to a vastly lesser extent (preferring to target one or two particular species: Cellana tramoserica and occasionally Monfortula rugosa) on Long Reef (see image below). * Collect rigorous records of the foraging behaviour of turnstones on the reef, especially relevant to limpet predation. 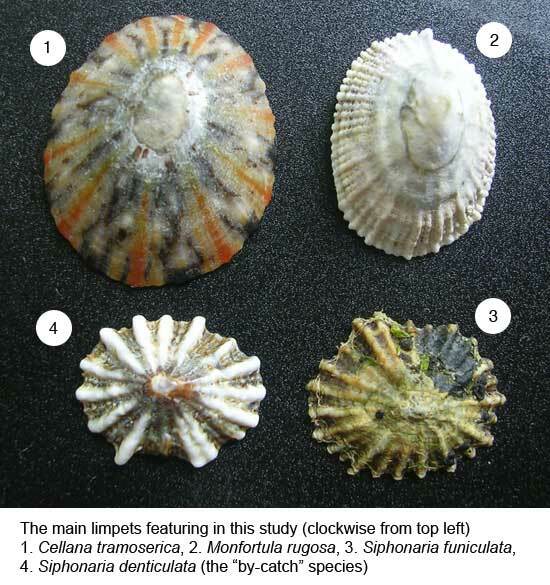 * Have the limpet species on reef analysed in a lab.